Tess Dehoog asks whether it’s true that the German Nazi party came to Edmonton to learn about Alberta’s eugenics program. 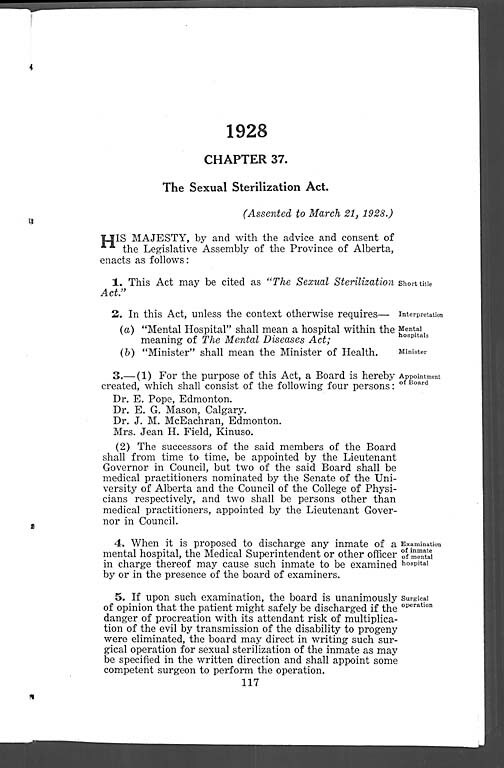 Text of Alberta’s Sexual Sterilization Act, passed by the United Farmers of Alberta in 1928. 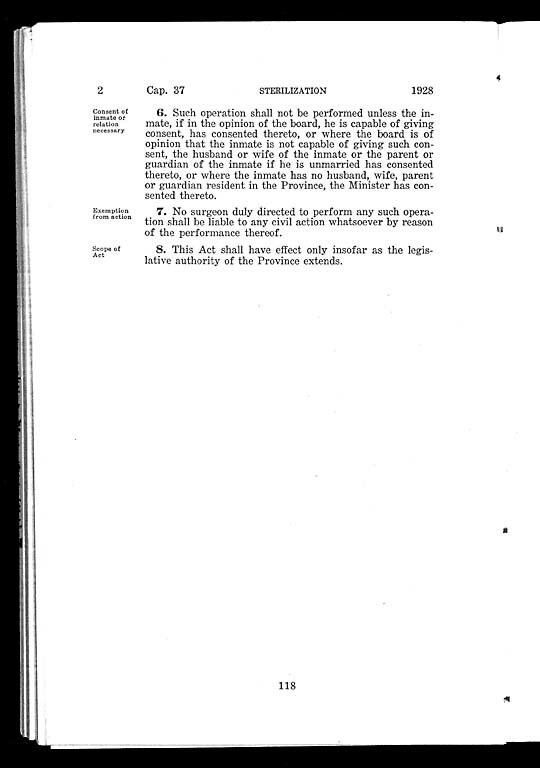 Page 2 of Alberta’s Sexual Sterilization Act. To answer this question, we first interviewed Erika Dyck, a researcher based at the University of Saskatchewan. 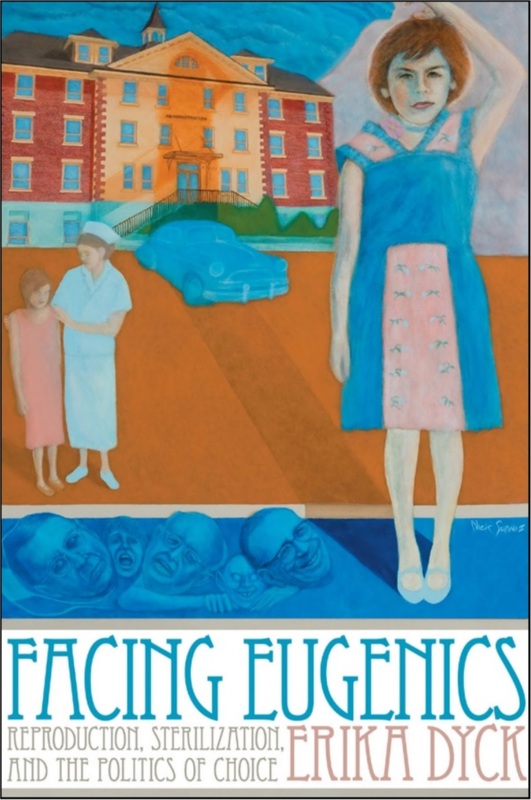 She is also the author of Facing Eugenics: Reproduction, Sterilization, and the Politics of Choice. We also spoke to Leslie Baker, currently a researcher based at Saint Mary’s University. Leslie was a contributor to the Eugenics Archive, an exhaustive database of the eugenics movement and its survivors in Alberta and beyond. Her doctoral thesis topic at the University of Saskatchewan was Institutionalizing Eugenics: Custody, Class, Gender and Education in Nova Scotia’s Response to the ‘Feeble-Minded’, 1890-1931. Formal sterilization and eugenics programs in Canada like Alberta’s no longer exist, but forced sterilization is still a problem. In 2017, a report by Dr. Yvonne Boyer and Dr. Judith Bartlett found that health care providers in the Saskatoon Health Region have pressured many Indigenous women to undergo tubal ligation while in labour. Leilani O’Malley (who changed her name from Leilani Muir before she passed away in 2016) was the Alberta eugenics survivor who kicked open the door for many others by successfully suing the provincial government in the 90’s. 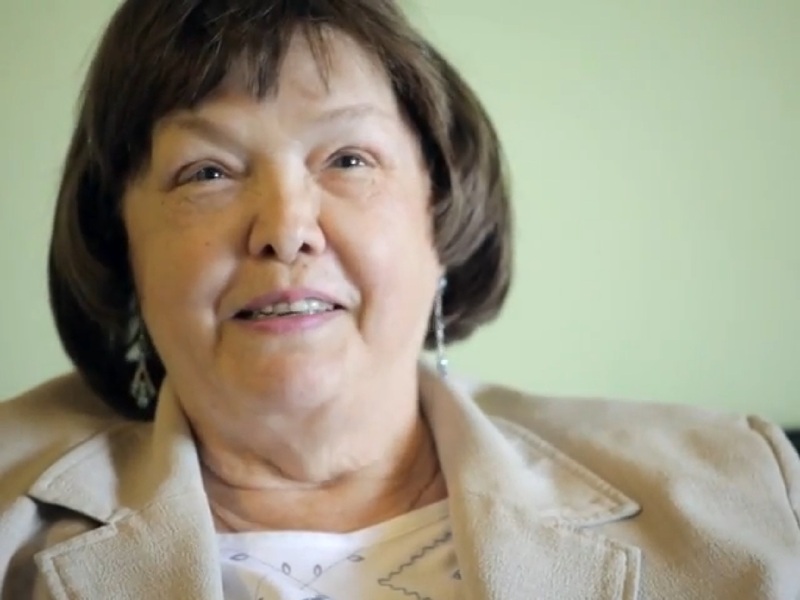 Leilani Muir told her story as part of the University of Alberta Living Archives Project. 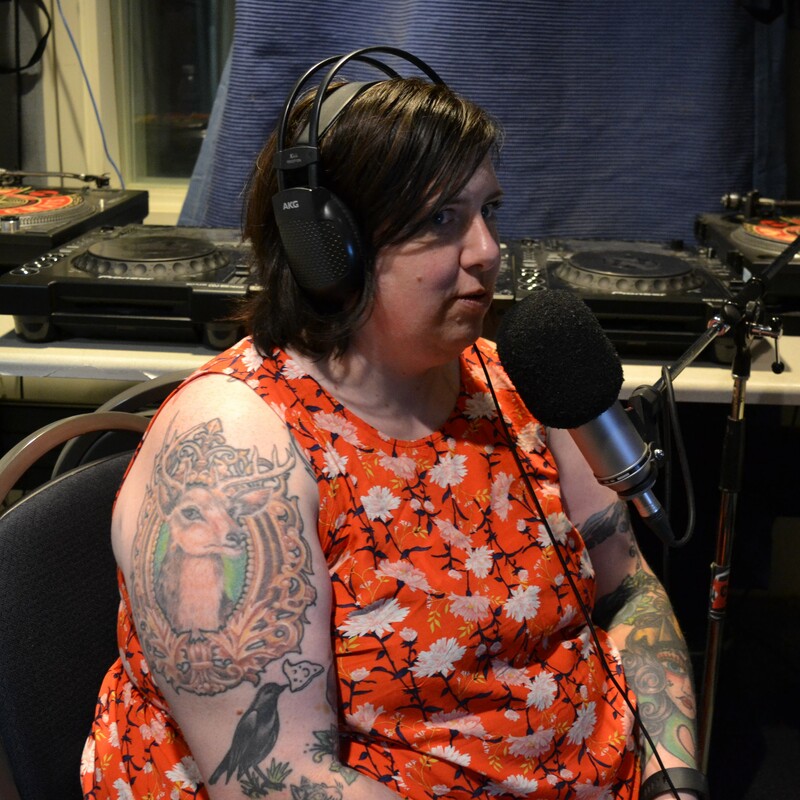 Today, groups supporting Albertans with disabilities who want to pursue healthy sexuality and loving relationships include Right to Love and the Disability Action Hall. Music for this episode includes Jacobs’ Piano Folio of Concert Miscellany, Vol. 5 by Walter Jacobs, Inc, shared under Open Data Commons Attribution License (ODC-By) v1.0.